Last time I've ridden a boat this big was when I was in Grade School way back 1982. 36 years later I was given the chance to relive those RORO days. This time around this writer was invited to attend the Ati Atihan Festival in Kalibo, Aklan. A chance was given to ride an airplane but we decided to go seabound instead. During our booking there were two Batangas Origin options and we were confused by it. Later did we found out that there were two boats bound for Caticlan. We chose the one that showed daily trips, The St. Ignatius of Loyola, leaving Batangas City 9pm. A pop up will then appear after this box. 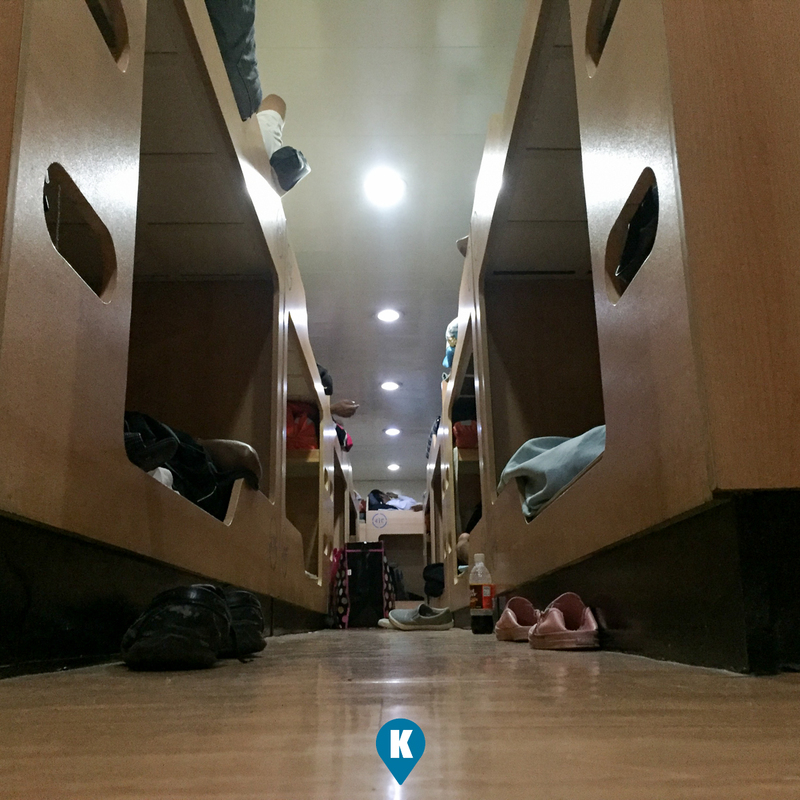 1) Super Value Class - It offers double deck beds and with no Aircon and with common restrooms and showers. You are subject to the elements with only a roof above your head, with tarpaulin covering the boat sides. 2) Tourist Class - offering wooden double deck beds with more common restrooms and showers and with Aircon. An added feature herein is the presence of safety deposit boxes which you can ask for padlocks in the front desk. 3) Cabin for 4 - It is a cabin room with a 4 bed capacity with your own restroom and door key. 4) Cabin for 6 - also called a State Room. It offers more ample room for 6 pax. After choosing our accommodation, we were guided to another box requiring us to put in our passenger details like name, age etc. Next window will show the passenger details and payment amount information. For our trip, it costed us Php1,264 including insurance. Now after paying via our credit card (which was secure by the way), we received an email of our confirmed itinerary. You got to print this out in two copies, along with the photocopies of the credit card you used to pay for it (DO NOT PHOTOCOPY THE OTHER SIDE OF THE CARD SHOWING THE 3 DIGIT CODE). If you are not the owner of the card, then photocopy the owners valid ID and have him sign on all copies. if the weather is just right, you can have great views of the ocean on its small viewing deck. When you travel on the date you selected, bring these copies along with a valid ID when you board your boat. Travelling to Batangas City Pier is easy coming from Cubao or Buendia. Fare prices may vary among different bus lines. Travel time is from 3-4 hours. 2GO boats are located in Terminal 2. Terminal Fee is Php30 per passenger. As this writer only brought a backpack, no baggage surcharge was incurred. Other passengers we noticed with large and heavy suitcases were tagged and ask to pay for surcharges. After passing through the payment of terminal fee, and through the x-ray machines, the 2Go counter is just after it. Present the copies of the tickets and valid ID then you are checked in. You may proceed to the pre departure area on the second floor to wait for your boarding announcement. What a fantastic view (sarcasm). There is a 7-11 store and other restaurants and shops in the terminal so if you need to eat or shop, you will find what you need within. Prices are not that expensive or excessive unlike in airports. Unlike in airplanes, boarding time is much longer with boats. You will hear your boarding call 2 hours before departure. For St. Ignatius of Loyola, they will announce it as boat bound for Odiongan and Caticlan. You might be confused by this, as the boat will first drop off passengers in Odiongan Romblon (4am) then proceed to Caticlan (6am). See the clean wooden double decks of tourist class and its airconditioned. All passengers will be whisked off to a platform wherein a final check with dogs this time prior to boarding. 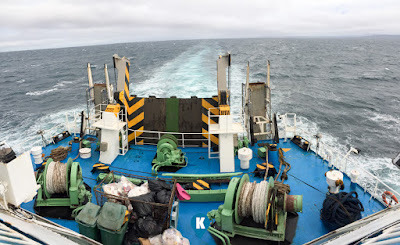 Then you are guided to the rear of the boat for the actual boarding. There are ample staffs available to assist you should you get confused. Trust us, its just so simple. Its not a really big boat. Now if you are travelling with an old person or PWD, boarding will be a difficult task at that. They simply didn't have the facility or accessory to help you out here. They will however provide people to help you carry your stuff, or person whatever is necessary. 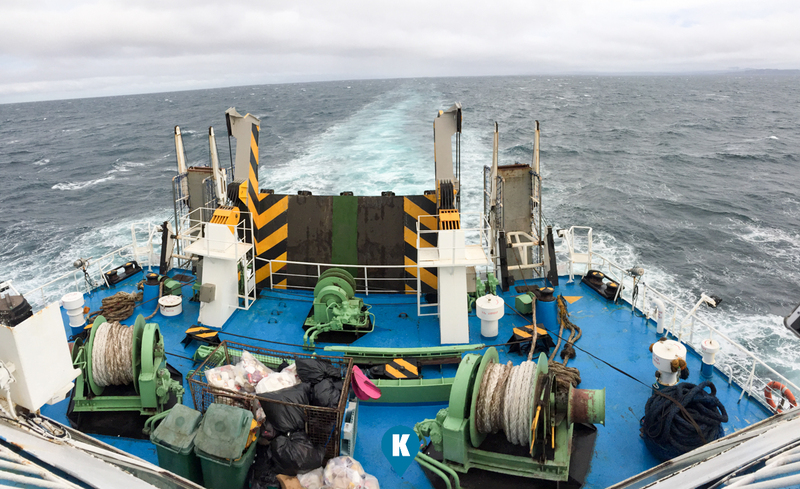 Going up the gangplank, you will easily find your area of accommodation. Check your ticket which bed you are assigned to. The beds and pillow (yes one pillow) are clean and you find that they are to our liking. Linens are free to use simply go to the linen area for them, just leave an ID with them. Now blankets are available for rent Php75. Once you got the linens, you may proceed on the 3rd floor or deck to get your free dinner. Should you like to upgrade your meal, just bring the pack lunch or food stub to the ONLY restaurant on the boat located at the second floor or deck. Pay Php90 for the upgrade. Now you will find a lot of people lined up on the front desk, these are people who knows how to upgrade their accommodations. Cabin or staterooms are expensive when prebooked so they become chance passengers waiting to be upgraded. 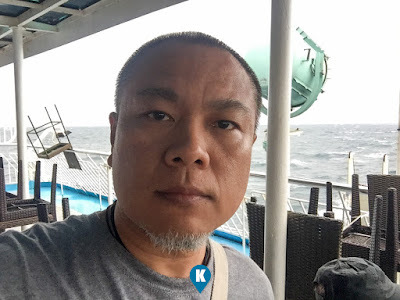 For example, I have paid for Php1,264 for my Tourist Class ticket, should I like to upgrade it to a vacant stateroom, I will just have to pay Php1,000 and I can get a bed in the stateroom. From Super Value to Tourist Php350each, to Cabin Php550 each, to Stateroom Php1,300 Room Rate. 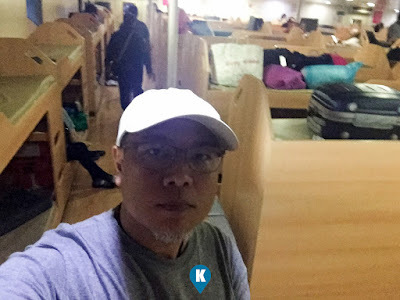 From Tourist Class to Cabin Php400 each, to Stateroom Php1,000 Room Rate. From Cabin Class to Stateroom Php800 Room Rate. *upgrade option is only available if there are vacancies in the desired upgrades. so better queue on the front desk upon boarding. The viewing deck serves as a smoking area - so be warned already. Now that you have settled, you can relax on the view deck or 3rd floor and order some beer. There is a band to entertain you until 1am (although I didn't stay till 1am) with popular tunes so travelling via boat is not so bad. We left Batangas City exactly 9pm and you will be awakened around 4am as they announced docking in Odiongan, Romblon. Since you are bound for Caticlan, you will remain at your bed until 6am. 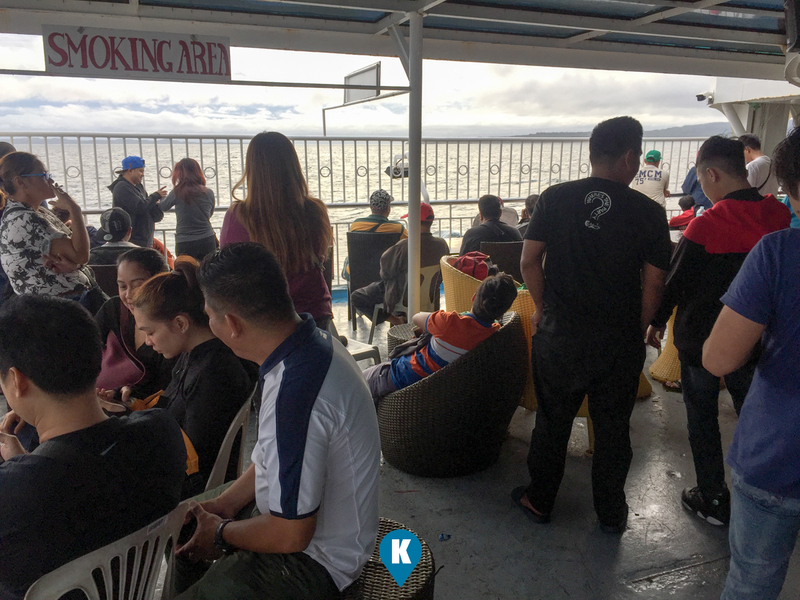 There is only one berth in Caticlan Port so it might take sometime for your boat to dock to it and announce disembarking procedures. We were caught in a traffic jam they say so we waited for two hours before finally we were on land. Overall, travelling by boat is not that bad. Its cheaper compared to travelling by air, but its not enough to compensate for the hours of travel and the comforts of air travel is simple incomparable. If you don't mind the long hours of travel and some a few inconveniences, then 2GO travel is for you. ** other tips - Globe signal is spotty especially if you are at sea. Signal is lost when you are on your bed in tourist class. NO WIFI, but the front desk area has seats where you can do your mobile internet if ever you get a signal. There's a store there as well sellling noodles and snacks and some souvenir items. Staff are nice and courteous so please be nice to them.